Optoelectronics is the branch of electronics that combines optics and electronics. The devices that deal with this technology is called optoelectronics devices. Optoeletronic devices can be divided into two – light sensitive devices and light generating devices. We have already discussed a good amount of optoelectronic devices in our site. You can get the links from the paragraph below. 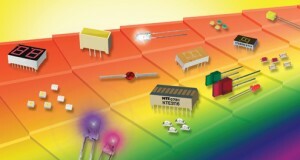 Some of the common light sensitive devices used in electronic circuits are photodiodes, phototransistors, light sensitive resistors, photovoltaic cells, and more. Light generating optoelecronic devices include Light Emitting Diode (LED), tungsten filament lamp, cathode ray tube (CRT) and more. Some devices combine both the principles of sensitive and light generating devices like Light Dependent Resistors (LDR), Liquid Crystal Displays (LCD), optoisolators, optoreflectors and more. They can be employed for generating a wide variety of stationary or moving visual displays.